England will look to level the series when they take on India in the second ODI at London on Saturday. England lost the first ODI comprehensively to India and need to put up a better show in the second ODI to give a tough challenge to Virat Kohli and his men. On the other hand, ‘Men in Blue’ look a superior team at the moment and would want to seal the series in the second ODI itself. Best economical pick – Kuldeep was easily the pick of the Indian bowlers and he almost singlehandedly dismantled the English top and middle order. The England batsmen seemed to have a better idea of playing him in the second T20I, but Kuldeep managed to get the better of them in 1st ODI. With astonishing figures of 6/25 in his 10 overs, this was a night to remember for Kuldeep as he broke numerous records. 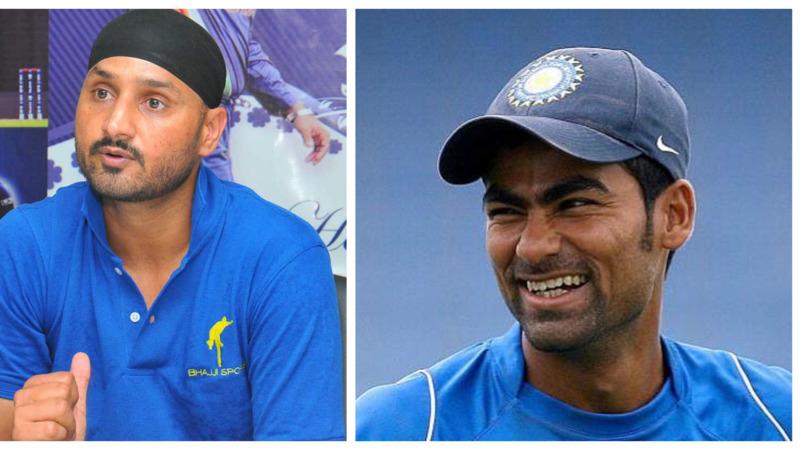 Top captains & vice captains – He smashed them in the 3rd T20I and he smashed them again in the 1st ODI. Such has been the return ofRohit Sharma’s form that England bowlers seem clueless as to what to bowl to him. Rohit was in full flow as he scored his 18th ODI century and his first against England in ODI cricket. He toyed with England bowlers especially the spinning duo of Adil Rashid and Mooen Ali and lofted them for some huge sixes. Hitman completed his century with a six of just 84 balls. His innings was full of class and style. He steered India through and stayed till the end scoring 137 of just 114 balls. Virat Kohli built a magnificent partnership worth 167 runs along with Rohit Sharma. 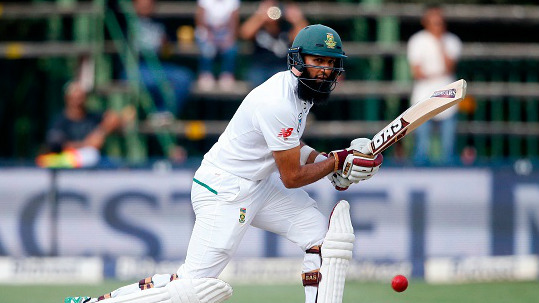 He accomplished his half-century and looked settled to notch yet another century in the 50-overs format. However, that wasn’t the case and Adil Rashid picked him up at a score of 75 runs from 82 balls. Smart pick – One English batsman, who has had all the answers to whatever has been thrown at him, is Jos Butler. He just never fails to make an impact. In first ODI, he came in at a very tricky situation. 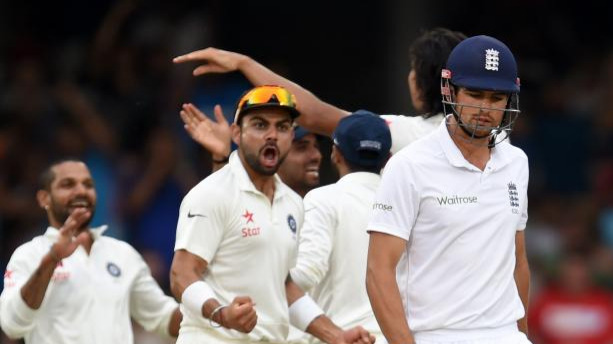 England had lost 3 wickets in succession and India’s wrist spinners were on fire. Butler played his natural game and scored at a strike rate of above 100. Butler’s crucial 53 of just 51 balls helped England post a decent total on the scoreboard to defend. 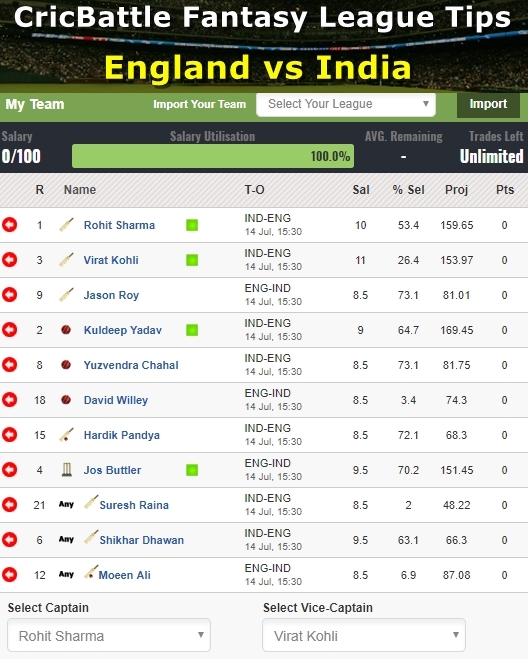 Cautious Pick – In spite of being the man behind England's redemption in limited overs cricket post-2015 World Cup, Eoin Morgan has not proven to be a match winner or run-machine for England. His struggles against spin would be well known to India and the spin twins of Yuzvendra Chahal and Kuldeep Yadav would do their best to trouble Morgan and get him out cheaply.